Apple makes a big deal of its iCloud service, and it has put considerably more clout behind it since the switch from MobileMe. The company freely admits that iCloud is to become the cornerstone of everything it does moving forward, with seamless syncing and the like very much expected to be part of how we run our digital lives. At least, that’s how it is going to work in Apple’s iOS and Mac ecosystem. If you’re not part of that little world, then things tend to revolve around Dropbox, and that is why HTC has chosen the Apple-targeted online storage firm for its own smartphones. 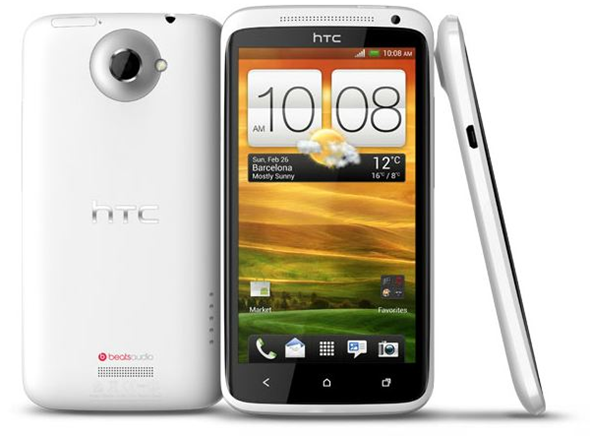 During HTC’s media event at Mobile World Congress in Barcelona today, the firm announced a raft of new smartphones with the HTC One being the new flagship device. The company took the opportunity to flaunt a new deal with Dropbox at the same time. According to CEO Peter Chou, buyers of the HTC One will receive 25GB of Dropbox storage for absolutely nothing. Customers will have access to their bumper account for two years, after which we presume they will need to upgrade to the $9.99 per month Premium deal that Dropbox currently offers. Interestingly there is no 25GB option currently, with the free version offering just 2GB of storage. Is this perhaps the sign of things to come, and that Dropbox is getting ready to offer a 25GB storage option at a price somewhere in-between free and $10? Let’s hope so! While not exactly iCloud, this push toward Dropbox is part of HTC’s big push to halt a slide in popularity thanks to both the iPhone and Samsung’s current crown as king of the Android partners. Now Motorola Mobility is on the verge of being absorbed into Google, HTC may see itself as being left on the sidelines somewhat, and it is no secret that Windows Phone 7 sales are far from stellar. Dropbox is really on a flyer these days, with the company apparently on Apple’s potential hit list of companies to buy before Steve Jobs passed away and the fact that it is fast becoming the defacto standard for online storage and syncing across multiple devices. Nobody does it like Dropbox. Not even Apple!